Barrow Raiders prop Brett McDermott has retired from rugby league after he was charged by the Rugby Football League with an anti-doping rule violation. A statement released by the club revealed that McDermott, 32, "tested positive for two anabolic agents", and has opted to leave the sport. McDermott told the North West Evening Mail: "I have never taken any form of performance enhancer in my career. "It was not my intention to take any performance enhancer at the time." He added: "I believed I was only taking something to help me heal quicker while I was not playing or due to play for some time. "I am extremely embarrassed and ashamed that I have made such a stupid mistake at the end of a long and completely honest career and do not wish to bring any bad press to the club I love and have always supported. "I am prepared to retire from the game, as I realise my mistake is not good for my club, and also because I have a very large fan club of young people and children who look up to me." The club's statement read: "We reaffirm our commitment to working with the RFL and UK anti-doping. "We in no way condone what Brett has done and the implications associated." "Barrow Raiders Rugby League Club would like to express that they are shocked, hugely disappointed and are all deeply saddened at Brett's actions," the statement continued. "After his being such an integral part of our club for many years, and as he has been a role model for the young players this news is totally unwelcome. "We would like to take this opportunity to state that all our players are informed at the beginning of each season of which supplements can or cannot be used and as a club we pride ourselves on enforcing these guidelines. "There is no room in sport for the misuse of drugs and there is certainly no place for it at Craven Park." The RFL is unable to make any further comment until the conclusion of proceedings. 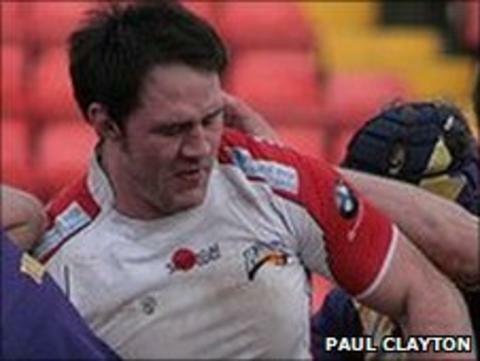 Ireland international McDermott, who used to play for Workington and Whitehaven, has chosen to appeal against the charge.